The block glass ashtray from Rosenthal convinces with its heavy material and its transparency. Its form is characterised by clear lines and geometric shapes reminiscent of the Bauhaus style. The clear glass blends timelessly into any ambience and breaks the light in the room in a beautiful way. The ashtray becomes a sculptural eye-catcher on every table. The block glass ashtray from Rosenthal in clear in the single product view. 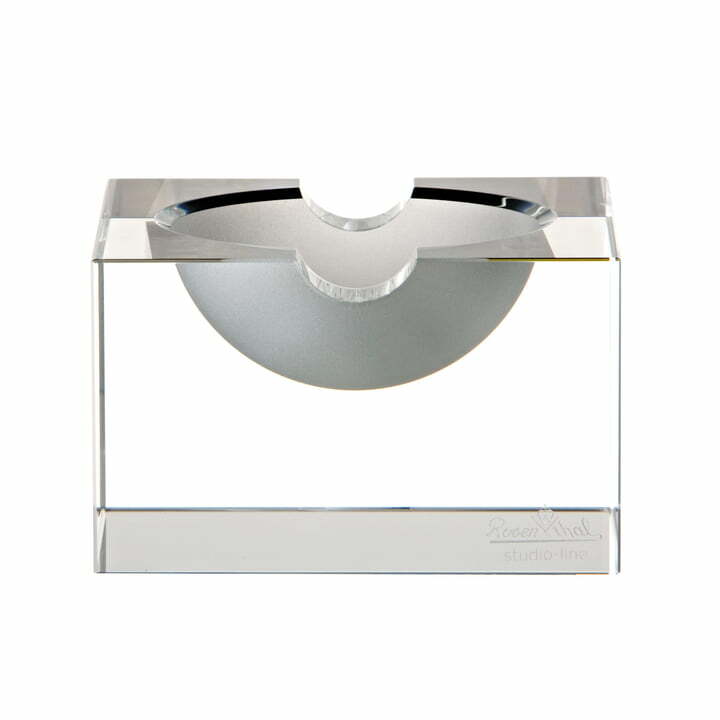 The ashtray convinces with its solid glass and its transparent appearance.